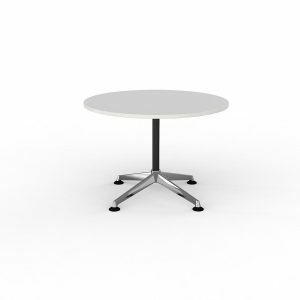 Modulus Meeting table complete with round worksurface 900mm. 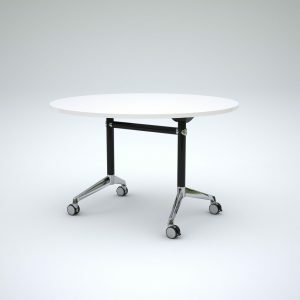 Black powdercoated posts and rails, Fixed polished alloy 5 star base, 25mm Studio white worksurface with ABS edge. 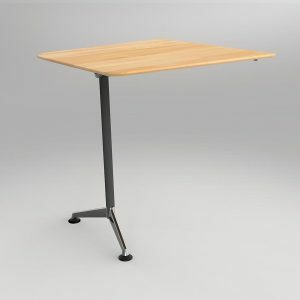 Modulus flip table complete with worksurface of 1200mm – 1800 x 600/750mm. Black or White powdercoated end frames and rails. 2 locking castors, mechanism incorporates one handed pull and safety stay upright locks. 25mm Studio white or New Oak worksurface. Includes 2 free pairs of fliptable links with each fliptable. 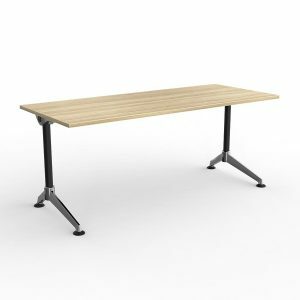 Modulus Meeting table complete with worksurface of 1500mm x 750mm. Black poles and rails, Polished Alloy feet on locking castors. Twin post, Single span frame. 1 piece 25mm Studio white worksurface with ABS edge. 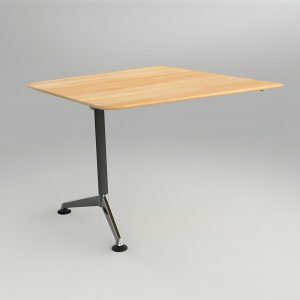 Modulus solid beech video conferencing table. 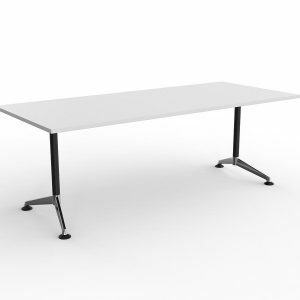 Shaped 1060mm wide x 1000mm deep, includes 1x modulus end leg, 1x wall mounting plate. 730mm high. 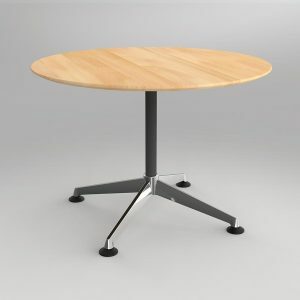 Modulus solid beech table 105mm diameter. Standard Modulus 4 star base, solid beech top with clear laquer and sharknose edge detail. 730mm high. 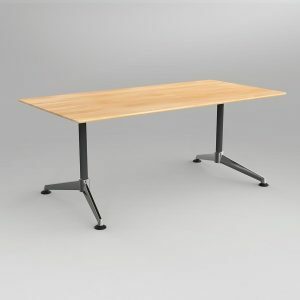 Modulus solid beech video conferencing table. 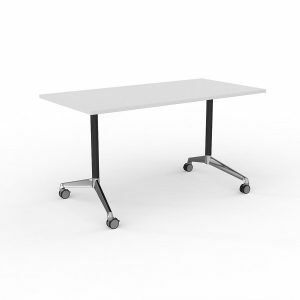 Shaped 1060mm wide x 1000mm deep, includes 1x modulus end leg, 1x wall mounting plate. 1000mm high. 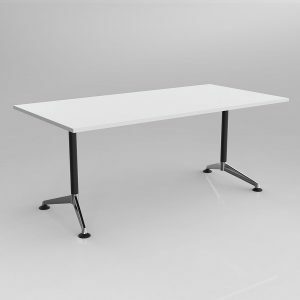 Modulus Meeting table complete with worksurface of 2100mm x 900mm. Black powdercoated posts and rails, Large Fixed polished alloy feet. Single post, Single span frame. 25mm Studio white worksurface with ABS edge. Modulus solid beech table 1800mm x 900mm. Standard Modulus collar leg base, solid beech top with clear laquer and sharknose edge detail. 730mm high. 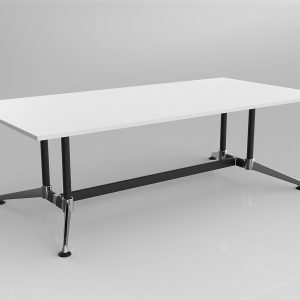 Modulus Meeting table complete with worksurface of 1800mm x 1200mm. Black poles and rails, Polished Alloy feet and connectors. Collar Leg, Twin post, Single span frame. 25mm Studio white worksurface with ABS edge. 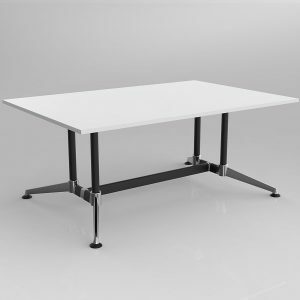 Modulus Meeting table complete with worksurface of 2400mm x 1200mm. Black poles and rails, Polished Alloy feet and connectors. Collar Leg, Twin post, Single span frame. 1 piece 25mm Studio white worksurface with ABS edge. 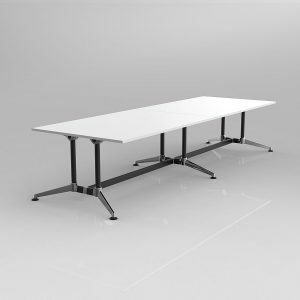 Modulus Meeting table complete with worksurface of 3600mm x 1200mm. Black poles and rails, Polished Alloy feet and connectors. Collar Leg, Twin post, Twin span frame. 2 piece 25mm Studio white worksurface with ABS edge.